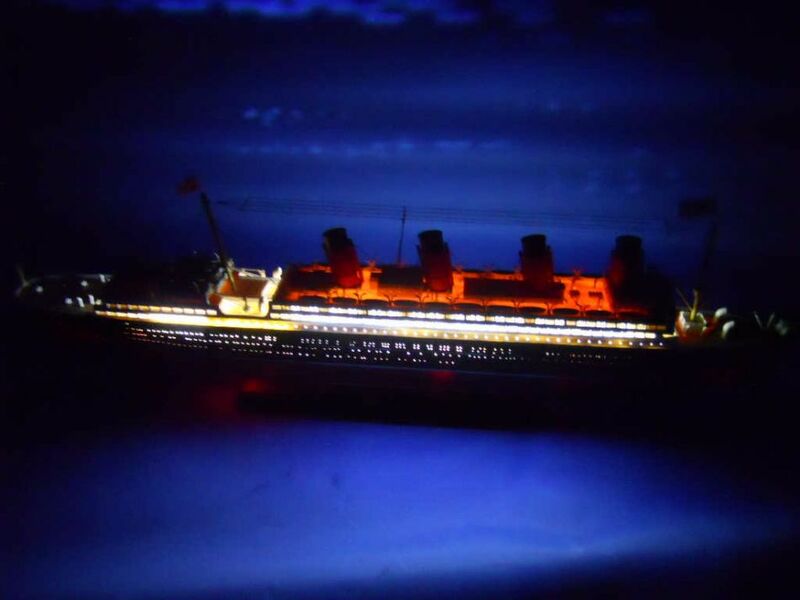 RMS Lusitania Limited Model Cruise Ship with LED Lights 30"
Travel back to the heyday of the grand trans-Atlantic ocean liners with these exquisite Limited Edition cruise ship models of the famous RMS Lusitania. Evoking the elegance and grandeur of a bygone era, the Limited Edition RMS Lusitania model cruise ship is built with the finest craftsmanship and demanding attention to every detail. RMS Lusitania was an ocean liner owned by the Cunard Line and built by John Brown and Company of Clydebank, Scotland. She was torpedoed by a German U-boat on 7 May 1915 and sank in 18 minutes, eight miles (15 km) off the Old Head of Kinsale, Ireland, killing 1,198 of the 1,959 people aboard. The sinking turned public opinion in many countries against Germany, and was instrumental in bringing the United States into World War I. It is considered the second most famous civilian passenger liner disaster, after the sinking of the RMS Titanic. The sinking of the Lusitania caused great controversy, which persists to this day. 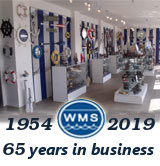 In the aftermath of the sinking, the German government tried to justify it by claiming in an official statement that she had been armed with guns, and had "large quantities of war material" in her cargo. They also stated that since she was classed as an auxiliary cruiser, Germany had had a right to destroy her regardless of any passengers aboard, and that the warnings issued by the German Embassy before her sailing plus the 18 February note declaring the existence of "war zones", relieved Germany of any responsibility for the deaths of American citizens aboard. While it was true that the Lusitania had been fitted with gun mounts as part of government loan requirements during her construction, to enable rapid conversion into an Armed Merchant Cruiser (AMC) in the event of war, the guns themselves were never fitted. However, she was still listed officially as an AMC. Her cargo had included an estimated 4,200,000 rounds of rifle cartridges, 1,250 empty shell cases, and 18 cases of non-explosive fuses, all of which were listed in her manifest, but the cartridges were not officially classed as ammunition by the Cunard Line. Various theories have been put forward over the years that she had also carried undeclared high explosives that were detonated by the torpedo and helped to sink her, but this has never been proven.